The more you are able to show the impact your donor is making, the more donations you will get - that is the purpose of the Impact Metric feature. The impact metric is a counter that automatically shows how many units of impact your fundraising campaign has created. Let’s say that your unit of impact is $15 and that it provides 1 week of food to a child. For every $15 you get in donations, then the impact metric counter will show 1 more week of food provided. 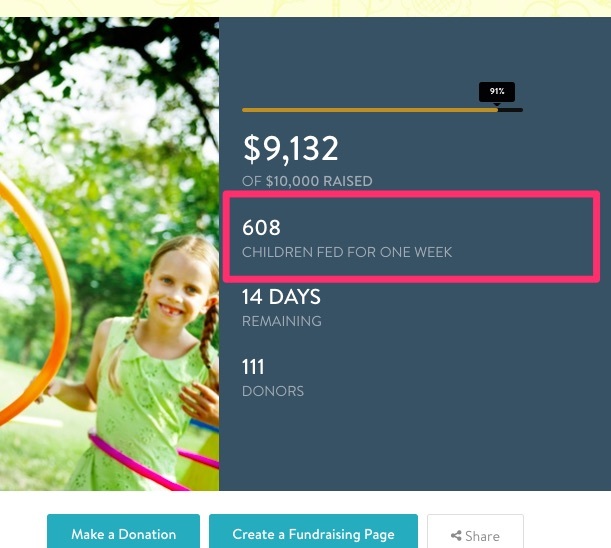 If you have $60 donations, the it will show 4 weeks of food provided. Step 1: In your Settings, click on “Display Options” along the left hand menu bar, and scroll down to the Impact Metric section. 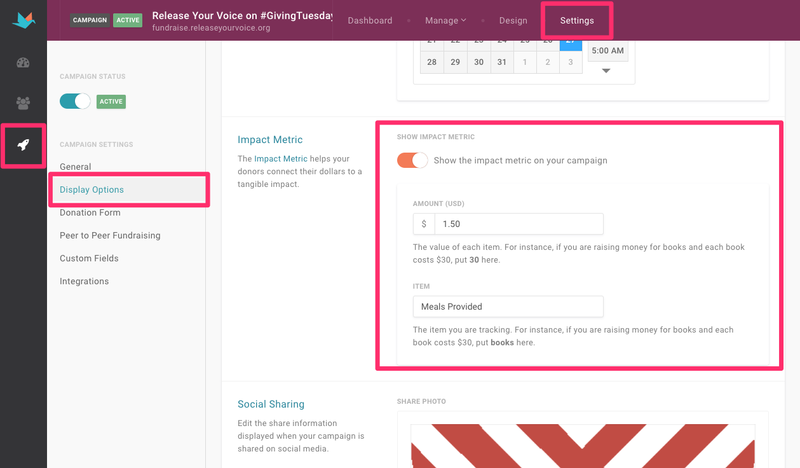 The calculation of your impact metric is automatically done on your CauseVox campaign site. Step 3: Click on Save on the upper right corner. *Note: Try matching the Impact Metric Description to your Donation Tiers.